The best kind of phone call I am blessed to receive is "we are calling you first because we really want to have your pews at our wedding..." Not only was that Dawn's story but it got even more precious: "My father and I had a picnic exactly one year before my wedding day, under the tree he will give me away...we talked about the pews and how much they would add to the ceremony..."
That year definitely flew by for P.E.W.S. and March 6th, 2013 came quickly! 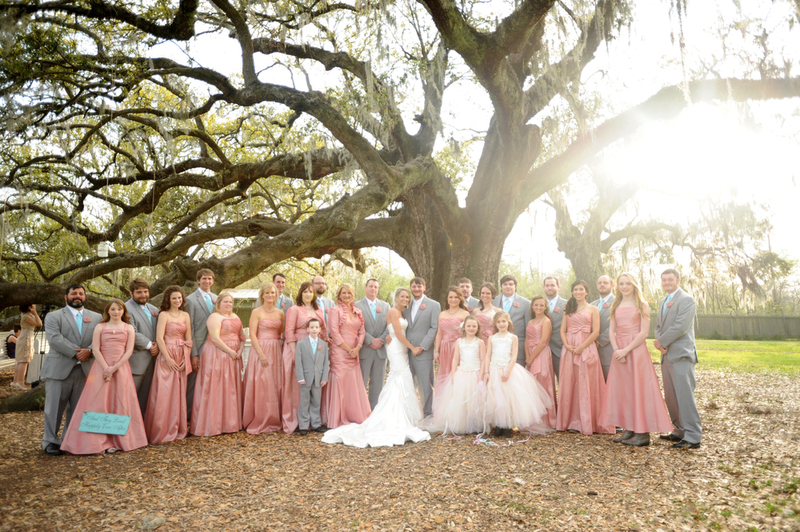 Dawn and James had such beautiful plans and family support to make this wedding one of a kind! 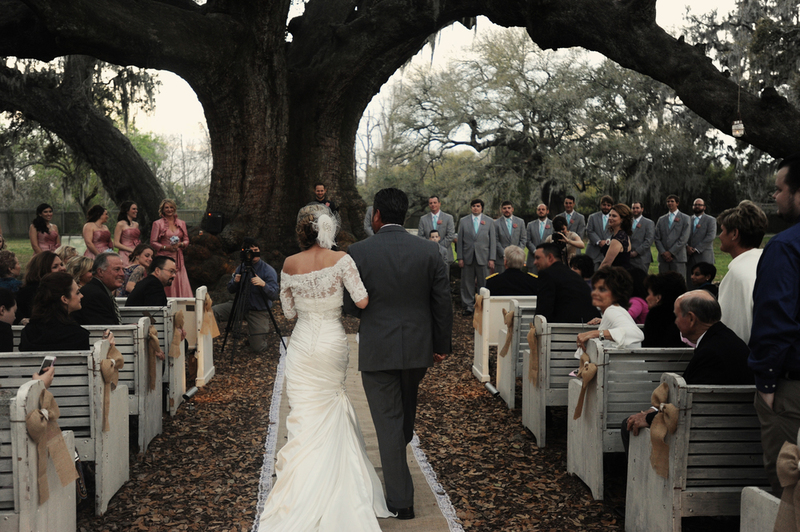 They were married at sunset under The Tree of Life in Audubon Park in New Orleans, LA. By the time the ceremony was over they walked back down an aisle lit with sparklers and soft lighting. Could it be any more romantic or unique?? We are so happy for this couple and the family that they have surrounding them. They clearly are in love and surrounded by even more love! Enjoy married life, you love birds! Thank you to Andrew Arceri for these lovely photos.